I’m so excited to announce that Tara and Mason’s story is available. I can’t wait for you to read it. 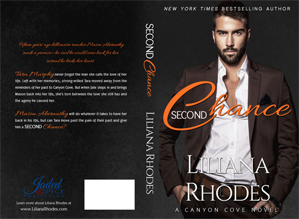 Second Chance is about… you guessed it… a second chance at love! It’s the third book in the Canyon Cove series, three standalone novels following a group of friends in the town of Canyon Cove. You can enjoy Second Chance without having read any of the other books in the series. Fifteen years ago billionaire rancher Mason Abernathy made a promise—he said he would come back for her, instead he broke her heart. Tara Murphy never forgot the man she calls the love of her life. Left with her memories, strong-willed Tara moved away from the reminders of her past to Canyon Cove. But when fate steps in and brings Mason back into her life, she’s torn between the love she still has and the agony he caused her. Mason will do whatever it takes to have her back in his life, but can Tara move past the pain of their past and give him a Second Chance? Second Chance is a full length, standalone novel. If you prefer to read in print, the paperback is available, too. Read Book 1 for FREE! Playing Games, the first book in the series, is currently FREE everywhere! 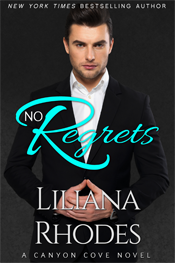 If you would like to be notified whenever I have a new book out, please sign up for my newsletter at www.LilianaRhodes.com.